Disclaimer: in 1973, I was not even born yet. In fact, my parents were only teenagers themselves. However, growing up I certainly heard my share of concert stories from my parents. You know, back when there was “real music” and you could “jump the train to The Garden” (as in, Madison Square Garden – which was easy to do given that they lived in northern New Jersey at the time). Yeah, my parents saw all sorts of concerts – Jimi Hendrix, The Who, Led Zeppelin, Rolling Stones… the list goes on. That being said, even though I grew up just a short drive north of Watkins Glen, I never heard about Summer Jam until I was in my twenties and working at a local winery. It came up in passing conversation and it wasn’t until I did a little internet research that I realized just how big this party was. My interests were officially piqued and that led to lots of internet searching, Googling, and the like. The years in between passed but now with the announcement of Phish making a return to Watkins Glen International this summer (Magnaball – details here), this is as good a time as any to take you all back a few decades and remember that time when two concert promoters from New York City planned a concert for 75,000, four years after Woodstock. The date was Saturday, July 28, 1973. 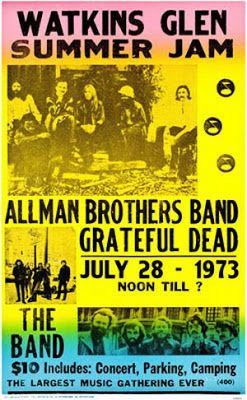 The bands were the Grateful Dead, The Band, and the Allman Brothers. The location was the Watkins Glen Grand Prix Circuit (now Watkins Glen International). As it turns out, the concert was much, much bigger than the promoters originally planned. In fact, estimates are that 600,000 people came to the concert. 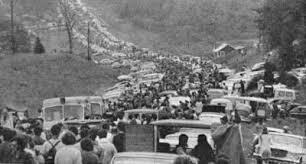 Traffic was impacted far beyond Watkins Glen – it backed up for for as far as 100 miles from the site. In fact, some concert-goers simply abandoned their cars on the highway and started walking to the site. 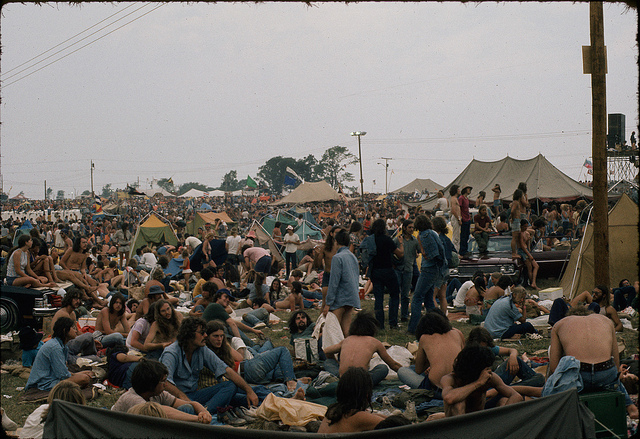 Attendees were quick to admit that they were looking for the chance to be part of a Woodstock-type of event for their own generation. 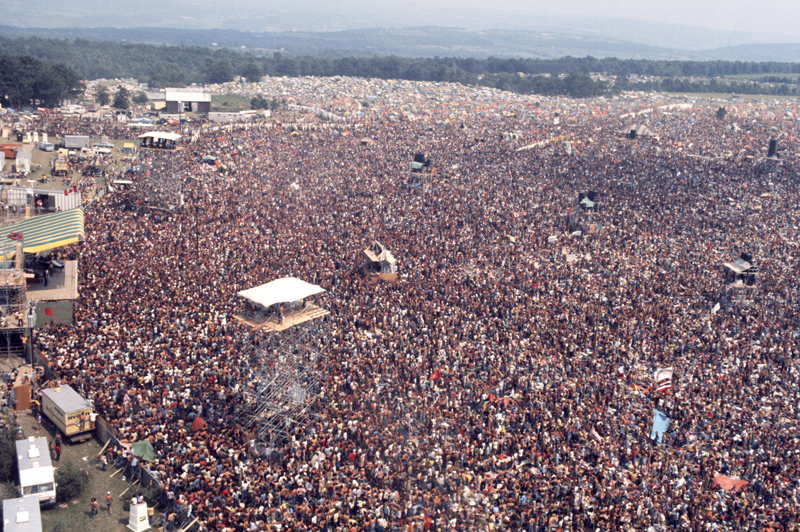 Those who were too young to attend Woodstock looked to Summer Jam as their own chance to be part of a huge moment in musical history. With traffic at a standstill, many abandoned their vehicles and simply walked to the venue. And so they came… in droves. Yet Summer Jam attendees reported little crime. There were only about 50 arrests mostly for petty crimes and fights ( which when you consider the size of the event – that’s pretty darn incredible). There was only one death (a skydiver with flares attached to him, which exploded before he reached the ground). The impact on the surrounding area was also historic. Stores in surrounding villages were emptied, as fans could bring anything into the show with them including food and drinks. But it wasn’t all positive… abandoned vehicles and literally tons of garbage littered the surrounding area. Concert promoters were supposed to ensure security and emergency vehicle access to the site. But this quickly became impossible when nearly 100,000 abandoned cars lined County Route 16 and Routes 14 and 414. Shortly after the event, the Schuyler County legislature passed a 120-day moratorium on gatherings of more than 5,000 people. In the fall of 1973, a group of residents living in the area of the Grand Prix circuit sued, claiming that the huge swell of people damaged their property and livestock and caused major disruption of the surrounding area. The suit was settled out of court in 1982. A few more numbers for you from Summer Jam: 17,000 pounds of hotdogs sold by one vendor alone; 1,000 portable toilets; 12 wells dug to increase the racetrack’s water supply; 300,000 premoistened paper towelettes ordered by the promoters; 3 to 5 hours – the amount of time some waited to use the facilities. So, while we look ahead to the busy summer season, we remember that time in 1975, when two New York City concert promoters put together a “little” concert in Watkins Glen. What a crazy time it must have been!